Former Speaker of the U.S. House of Representatives Newt Gingrich said he is "more open" to the abolition of the death penalty after hearing Pope Francis' address to Congress. Gingrich, who converted to Catholicism several years ago, said he was "very impressed" with Pope Francis' comments. In an appearance on HuffPost Live, Gingrich highlighted the work he has done on criminal justice reform, saying, "I very deeply believe we need to profoundly rethink what we've done over the past 25 years in criminal justice." With regards to the death penalty, he raised particular concerns about innocence: "You do want to be careful not to execute somebody who you find later on, as we've found, to be innocent." Openness to the idea of abolition represents a significant change in Gingrich's stance on the issue, as he was House Speaker when Congress passed the law (known as the Antiterrorism and Effective Death Penalty Act (AEDPA)) limiting the availability of federal judicial review of death sentences imposed in the state courts and once advocated a mandatory death penalty for drug smugglers. Pope Francis Calls Death Penalty Inappropriate "No Matter How Serious the Crime"
In a letter to the President of the International Commission Against the Death Penalty, Pope Francis expressed the Catholic Church's opposition to the death penalty, calling it "inadmissible, no matter how serious the crime committed." He continued, "It is an offence against the inviolability of life and the dignity of the human person, which contradicts God's plan for man and society, and his merciful justice, and impedes the penalty from fulfilling any just objective. It does not render justice to the victims, but rather fosters vengeance." He acknowledged society's need to protect itself from aggressors, but said, "When the death penalty is applied, it is not for a current act of aggression, but rather for an act committed in the past. It is also applied to persons whose current ability to cause harm is not current, as it has been neutralized -- they are already deprived of their liberty." He also addressed questions of methods of execution, saying, “There is discussion in some quarters about the method of killing, as if it were possible to find ways of 'getting it right'. 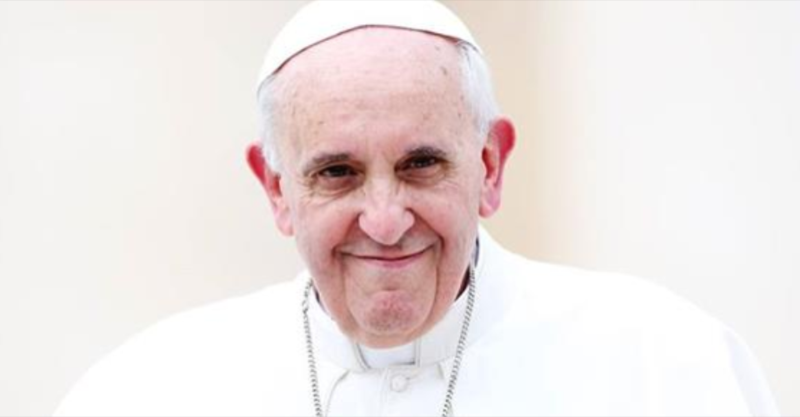 … But there is no humane way of killing another person.” The pope had previously offered remarks in opposition to the death penalty when he spoke to the International Association on Penal Law in October 2014.